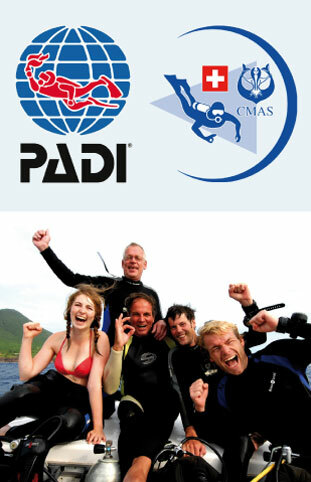 Scubaqua offers both PADI and CMAS courses. For both it is possible to start your training in your home country and finish your open water dives with us. 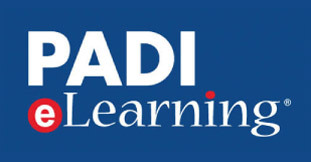 PADI (Professional Association of Diving Instructors) is the world’s leading scuba diving training organization and therefore accepted worldwide. We can offer almost all PADI recreational and professional courses. CMAS is the world’s first international diver training organization and was founded January 1959 in Monaco by a confederation of fifteen countries to establish an international diver-training standard. Organized under the direction of Jacques-Yves Cousteau. We offer Level 1 to 4 CMAS courses under the CMAS.CH flag. The most popular PADI courses we teach are listed below. Get certified! If you’ve always wanted to learn how to scuba dive and discover new adventures, this is your chance. After completing the PADI Open Water Diver course, you can dive independently all over the world. The PADI Open Water Diver course is the world’s most popular scuba course, and has introduced millions of people to the adventurous lifestyle of diving. The PADI Open Water Diver course consists of three main phases: theory, confined water dives to learn basic scuba skills and four open water dives. Complete the theory portion of the PADI Open Water Diver course online with PADI eLearning. It's a great match for your active schedule. While you're working through the PADI Open Water Diver course online or after you complete all the segments, you can print your eLearning record and bring it in to start your underwater adventures. The Advanced Open Water Diver course helps you increase your confidence after your Open Water Diver course and upgrade your scuba skills. During the five exciting dives, you discover new dive sites and diving techniques. Scubaqua offers a wide range of specialties, in which you ‘dive’ deeper in specific dives. Penetrate the big Statia wrecks in your wreck specialty or learn how to take that great shot in the digital photography specialty. Or chose one of these: deep, night, underwater navigation, drift, enriched-air, fish identification, etc. In this course, you learn First aid and CPR, both good skills for anyone involved in diving - just in case. Of course, you can use those skills anywhere, home, work or wherever someone needs live-saving help. To become certified as a Rescue Diver you need to complete the EFR course. ‘Challenging’ and ‘rewarding’ best describe the PADI Rescue Diver course. Building upon what you’ve already learned, this course expands on what you already know about how to prevent problems, and how to manage them if they occur. 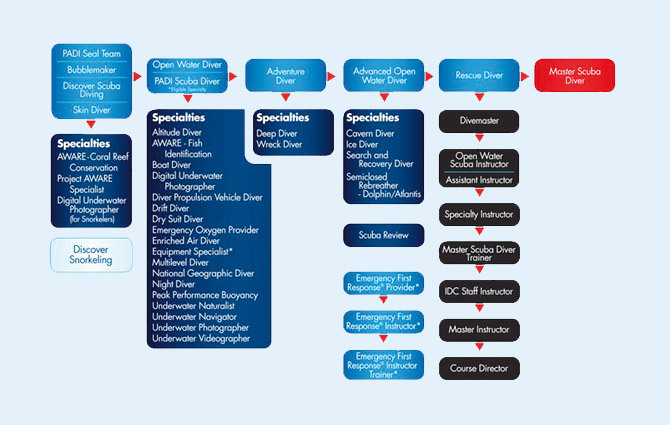 Diving as a career? Your adventure into the professional levels of recreational scuba diving b egins with the P ADI Divemaster course. Wo rking closely with one of our Instructors, you expand in this program your dive knowl edge and skills to the professional level. PADI Divemaster training develops your leadership abilities, qualifying you to supervise certified divers and assist instructors with student divers. You may even become our colleague? !